Newt sightings at Warriston are not unusual. 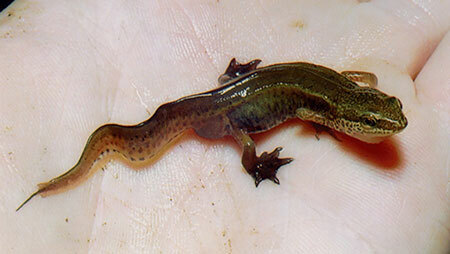 There are three types of newt species native to the UK, all diminishing in numbers due to habitat loss. The species you are least likely to see on your plot is the rare great crested newt. The great crested newt looks like a miniature dinosaur. At up to 17cm in length it has dark knobbly skin and, in courting males, a jagged crest runs down its back. It is one of the most heavily protected species in the UK. If you discover one of these – which is possible as they are known to reside in the Central Belt – it shouldn't be handled or disturbed. Scottish Natural Heritage can tell you more. Newts on Warriston plots are more likely to be one of the two more widespread species: the smooth or common newt and the palmate newt. It’s difficult to tell these two apart but generally palmate newts are smaller and do not have the speckled throats typical of the common newt. 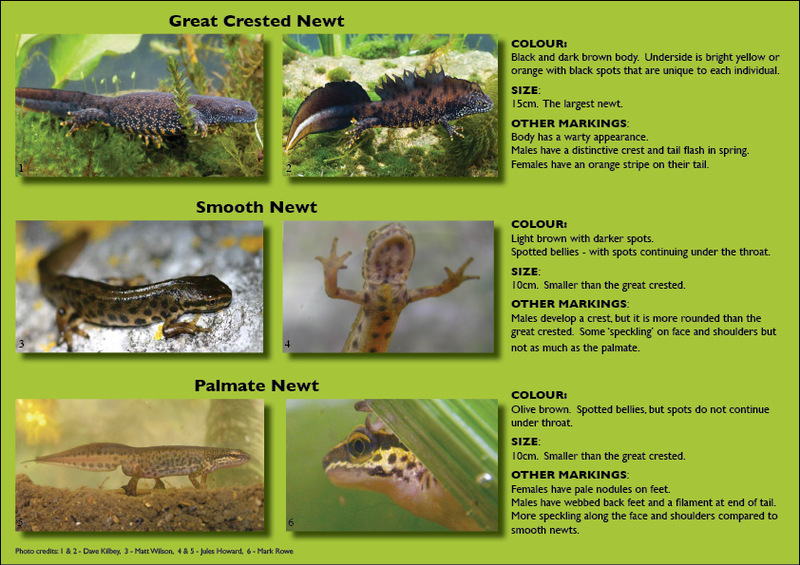 The BBC can help you with the tricky business of newt identification. 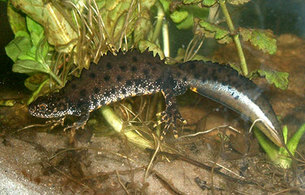 Newts move between water and land during their lifecycle. Between spring and mid summer they are found in freshwater ponds where they breed. The females lay eggs in the leaves of aquatic plants. In their aquatic phase newts will eat pretty much anything they can fit their jaws around. Water snails, waterlogged insects, tadpoles, and other water dwelling invertebrates are all popular mouthfuls. 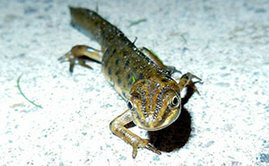 From July to August adult newts leave their breeding ponds. Plot holders might uncover them during this ‘land phase’ in dark, damp hideaways on their plot. They hunt by night. On land they eat slugs, snails, and earthworms as well as insects caught on their sticky tongues at lightning pace. In September the newts prepare for hibernation and will find a suitable hiding place for winter before the cycle begins again.